Now, whenever I use a desktop, I find myself feeling like a technological amputee. I know what I want to do, but the second-nature link between my mind and the computer is missing. Customizable buttons on a mouse solve a lot of this, but there’s a limit to how many buttons you can cram onto a mouse before it starts to become cumbersome. Â Keyboard shortcuts are useful, but aren’t a direct replacement for many of the analog gestures you can accomplish on a trackpad like zooming, rotating, and axis-free panning. 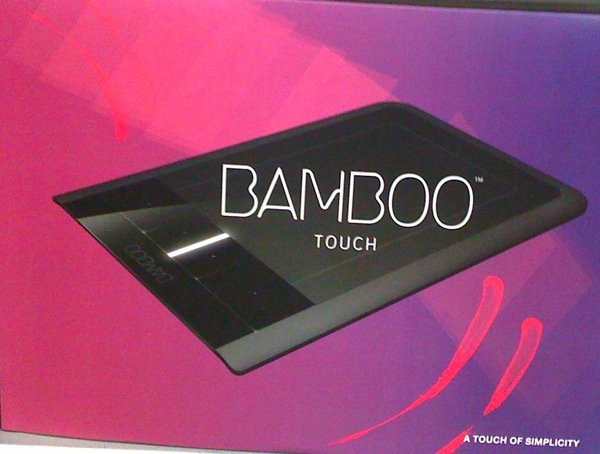 Engadget is reporting, and readers are confirming, that Wacom has started shipping the Bambo Touch input device, which can potentially bring the gesture based input I’ve become so dependent on to the desktop space. For $70, you get a capacitive touch tablet that recognizes multi-touch input. Engadget reader Adam reported that $100 and $200 gets you tablets that accept touch and digitizer pen input in two different tablet sizes. A larger tablet that can be used for gesture input full time and provide accurate digitizer input for creative applications use is a no-brainer to me. 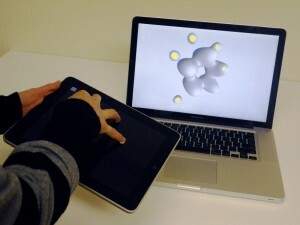 I also hope we see this functionality make its way into the Intuos line of tablets soon. I haven’t seen any reports of operating system requirements yet, and oddly, any mention of the product is absent from Wacom’s own website. 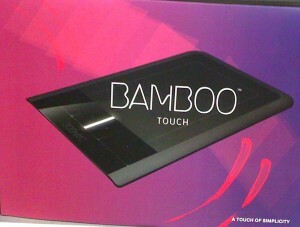 The Bamboo Touch is being launched at a great time, with Windows 7 supporting multi-touch input. 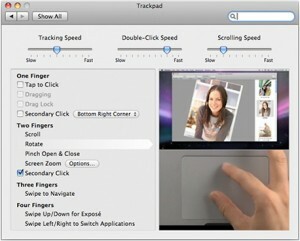 I’m hoping, hoping very-very hard, that the Bambo Touch also supports OS X. I’ve wanted a Macbook style trackpad on a desktop for use with OS X’s gestures for a long time, and I’m hoping that this product can be the answer. I think it could even replace a mouse for most casual computer use.